Being a sponsor means more than just helping our club to grow and expand into new areas. It means making a difference in the lives of dozens of children every year. As an entirely student-run organization, we work with what we can get on a slim budget, so any help means the world to us. You can sponsor us with funds, materials, or even by providing the machinery that we use on a day-to-day basis. 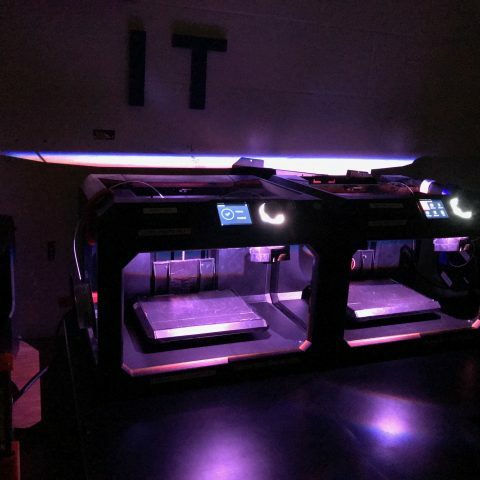 Everything you donate will go directly to helping our recipients by enabling us to further our research, produce more devices, and maintain our printing lab. If you have any questions regarding sponsorship, feel free to reach out to our treasurer at gripfinanceuf@gmail.com. Generational Relief in Prosthetics is a charity organization registered through University of Florida Foundation. All donations through the UF Foundation are tax-deductible.